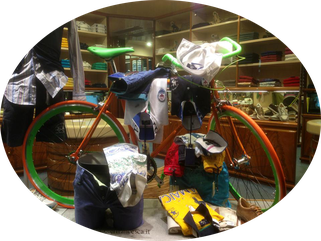 The Crab Design® bike and clothing collection is on permanent display at UNA Hotel in Forte dei Marmi and Lido di Camaiore. They are present at sporting events and glamor fashion as the cycling race GF BMC the Devil in Versilia, the Carnival of Viareggio, Danzainfiera in Florence, and Rimini Wellness following the tour of WellDance®, Ciclopolis a two days to promote the culture of the bike in city at the Hotel PRINCIPE DI PIEMONTE Viareggio. In addition to commercial activities such as Gary Store in Lido di Camaiore, Camelot, Boutique Pierfrancesca in the two showrooms in Forte dei Marmi and Viareggio and the Cucine LUBE concept store in Pistoia in Tuscany. 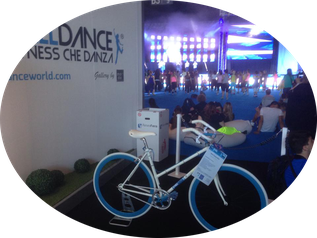 Are you interested in having our bike for your store or event? Contact Us!